A quick update on my writing progress. With the holidays over (Christmas in Ireland pretty much runs for 30 days and requires another fortnight for me to recover and catch up), I am happily back at it. 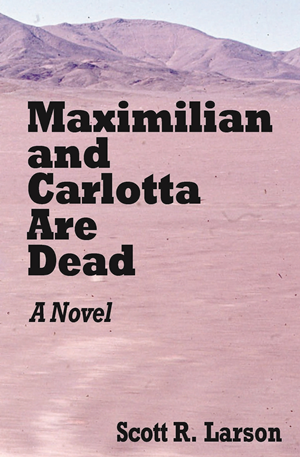 To my surprise, I have found myself suddenly making a pretty good start on a first draft of a sequel to Maximilian and Carlotta Are Dead. After much idea-chewing over a long period of time, the story and the characters have at last settled into something I can get really interested in, and I’m now pretty movitated to put it all down on virtual paper. 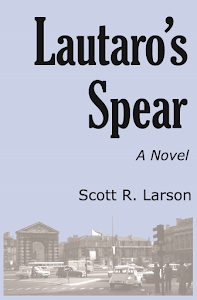 So, in answer to the question that I get most often about Max & Carly, yes, the next (actually third) book will be a sequel to the youthful exploits of Dallas Green. 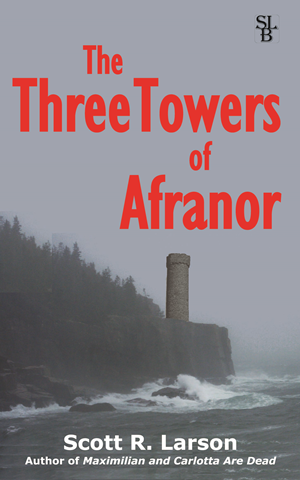 Of course, before I get too caught up in that writing project, I really need to go back to editing and polishing the second book (the sword and sorcery one). Anyway, this is definitely the time of year to try to get these things done. During this seemingly interminable period between the actual publishing of books, I take vicarious satisfaction in the publishing being done by other people—like my friend Claes. My acquaintance with Claes was born out of the moment I entered the Egyptian Theatre in Seattle in 1987 for one of 68 screenings I attended during the twelth Seattle International Film Festival. I didn’t actually meet Claes way back then. But I wrote something that would eventually find its way onto the world wide web (once the world wide web had finally been invented) and would consequently draw him to me. It was a three-hour Finnish war movie called Tuntematon Sotilas (The Unknown Soldier, in English), and I took on a typical (for me) tongue-in-cheek tone in reviewing it. Thirteen years after I had written that review, Claes emailed me to take me to task. And he was in a good position to do so because he wrote the book on Finland during World War II. And I mean that literally. His 272-page hardcover book Hitler’s Nordic Ally? 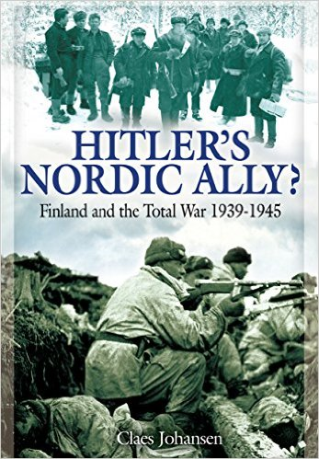 : Finland and the Total War 1939-1945 will be released on February 28 and is available for pre-order on Amazon. The book is in English, which is worth mentioning because Claes has written quite a few books (both fiction and non-fiction), and not all of them are in English. Some of them are in Danish. Two of his English-language books, which I have read and enjoyed, were fairly definitive biographies of two seminal 1960s English rock bands: The Zombies: Hung Up on a Dream and Procol Harum: Beyond The Pale. Something else he wrote in English was a very good radio drama called Sam and the Animal Man, which was aired two years ago on RTÉ, Ireland’s national broadcaster, and which can be streamed from RTÉ’s web site. When Claes and I first began corresponding, he thought (logically enough) that I was in the U.S. and I assumed that he was in Denmark. Imagine our mutual surprise when we finally realized that we were both in Ireland and that fewer than 300 kilometers separated us. It sounds as though I might get the chance to read and write about his book in advance of its release. (Stay tuned.) Already being familiar with Claes’s writing, I am sure it will be a good read. Moreover, it will bring my very glancing acquaintance with Finland’s World War II experience full circle—more 28 years after I wandered into a Seattle cinema to see a three-hour Finnish war movie.